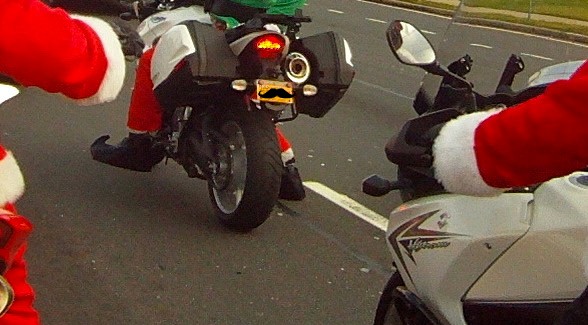 My very first Santa-ride was a solo affair in 2010 – just me dressed like the big man cruising around on my DRZ. 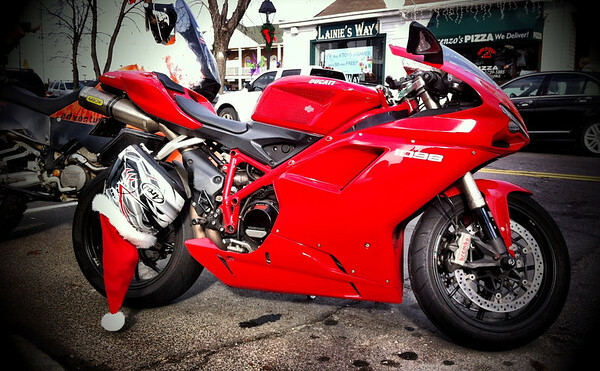 I don’t really remember what made me decide to buy the red suit and go for a ride in the first place. It really seems like a ridiculous idea. But, there is a special kind of magic in the ridiculous. Over the years, what seemed like a good idea blossomed into a great idea when friends started to join in. 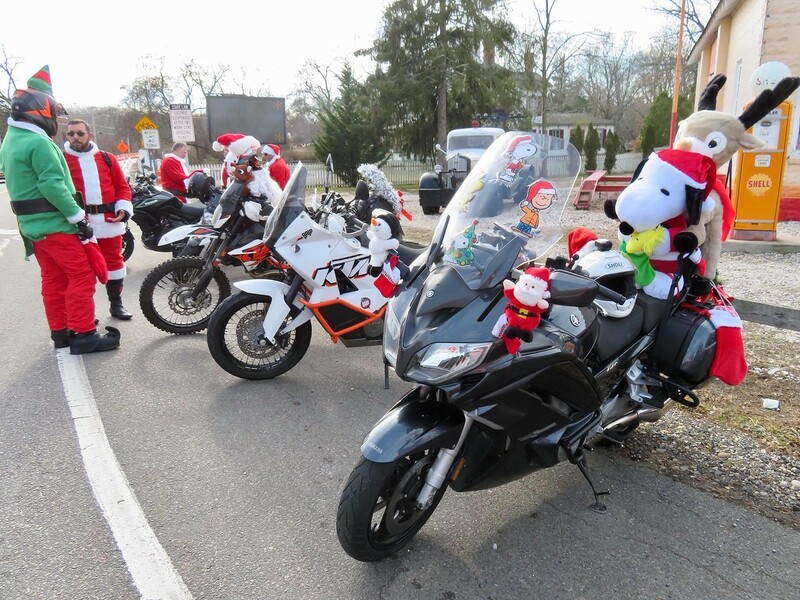 Our little local Santa-ride has become something of a tradition. As new friends ride along and old friend watch from afar the feelings that come from doing it never change. 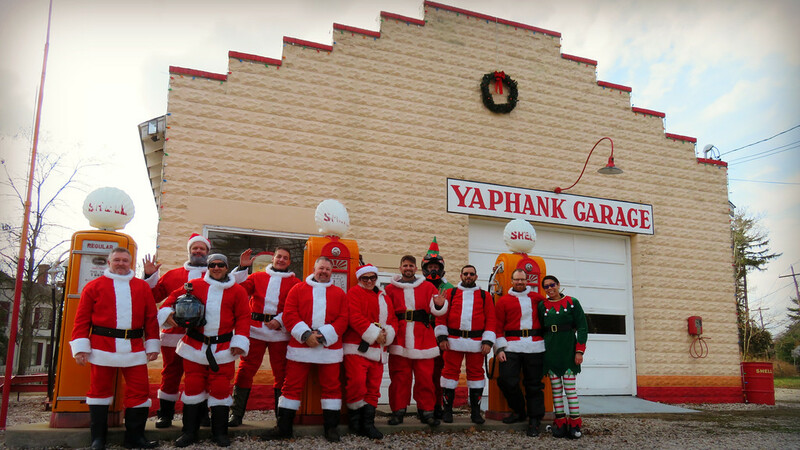 There is a special moment, something akin to an awakening that happens across the face of a stranger when they see 10 motorcycle Santas. I kid you not, there is child-like elation that they cannot contain. 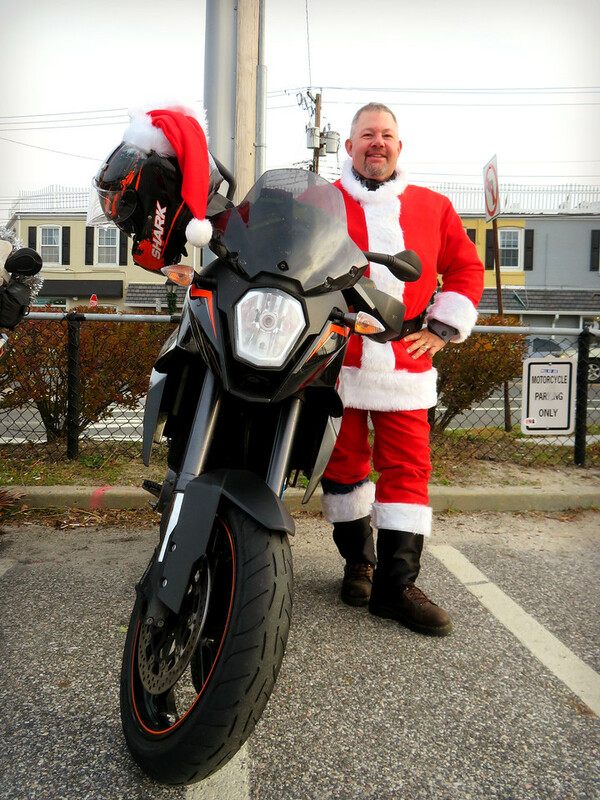 The goal has always been to just ride around and spread cheer to the people on the roads. Happiness is a gift that everyone can use and it always fits. I’ve said it for several years now – doing this, making someone’s day… is a gift you give yourself. 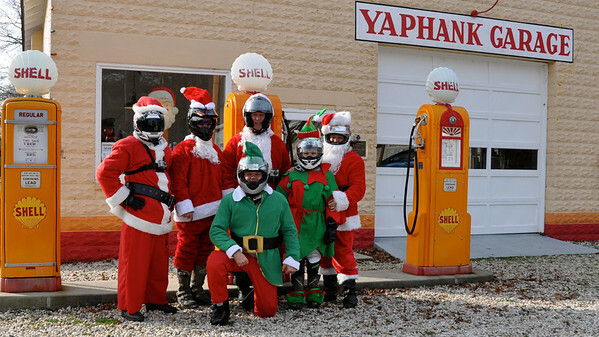 Our Mission: Bring a little Christmas cheer to the people on the roads. 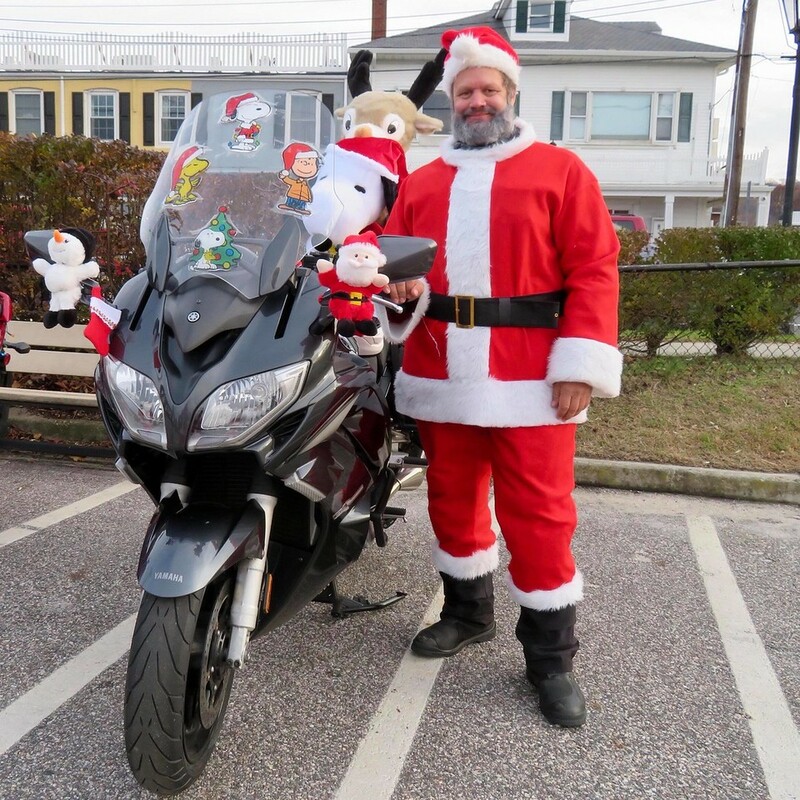 Last year, I hit the road dressed as a lone wolf Santa. 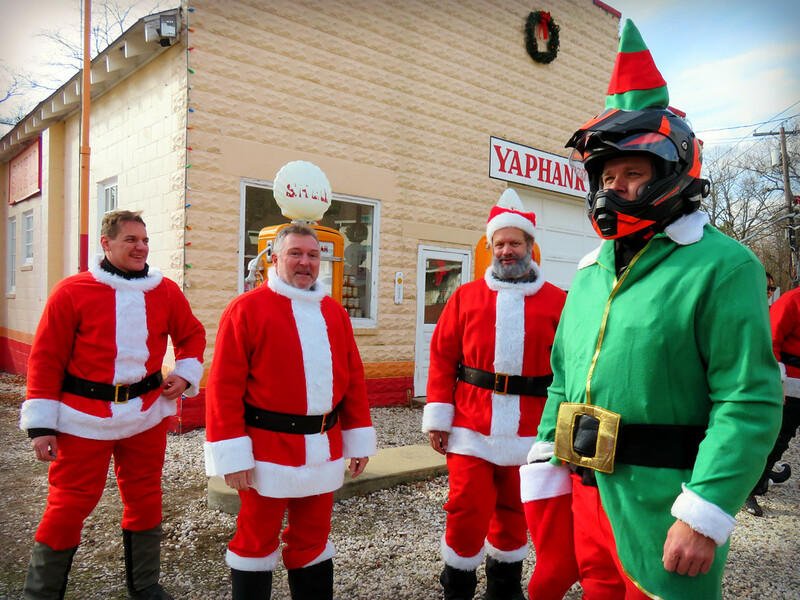 But this year,… I’m pleased to say that I had a few friends who decided to join me in spreading good cheer. 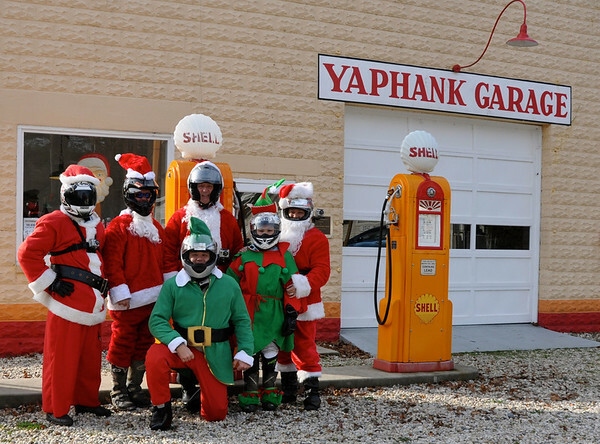 Aside from two-wheeled Santas, our group was two elves strong. 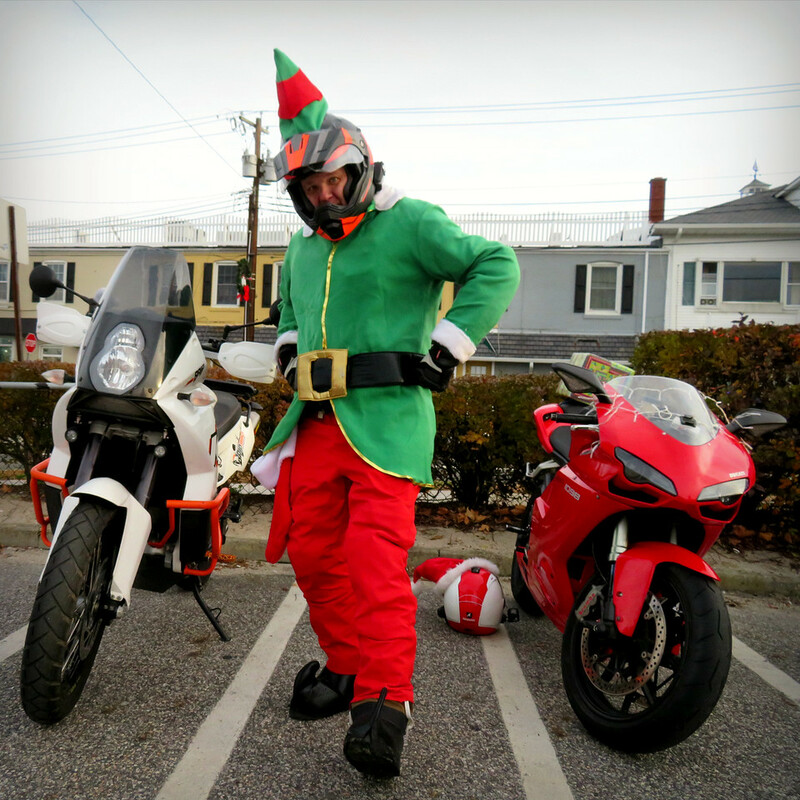 In fact, I had my own pillion elf. Chloe braved the cold to partake in the fun. 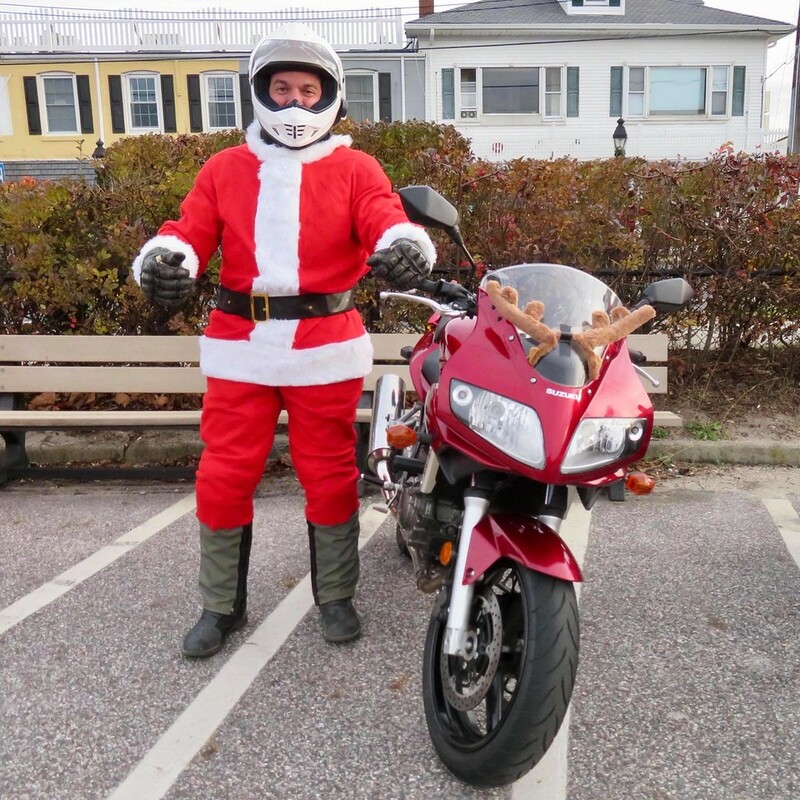 It is amazing that something as simple as dressing up in a costume and riding around on your motorcycle can bring so many people happiness. But, it does. When is the last time you saw a pair of size 12 motorcycle boots like this? They alone are good for a laugh. We decided to take what would normally be the most “un-fun” riding route in town – we headed to where all of the people were. Hell, we even cruised through a mall parking lot. Un-fun? Not this time! The reactions that we got from onlookers were priceless. 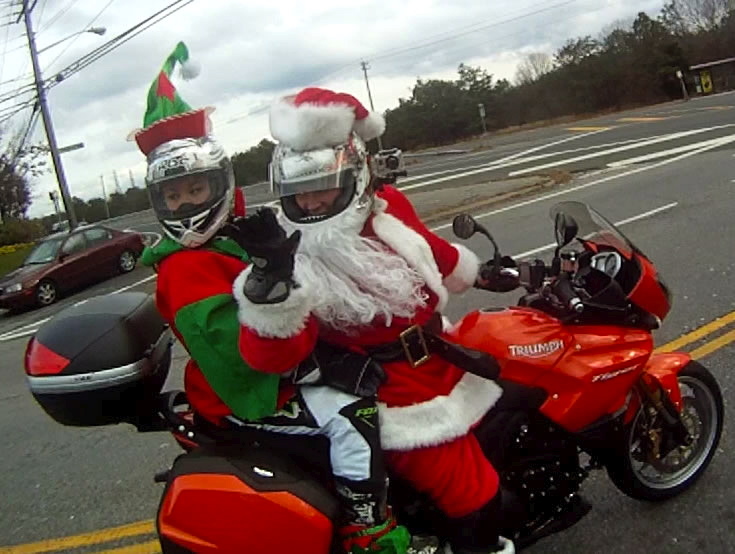 Honking, cheers, waves, people taking photos of us – there is no doubt about it, we brought a smile to many faces. I would go so far as to say that we made a few people’s day. I’m pretty proud of that. A simple act brought much happiness. 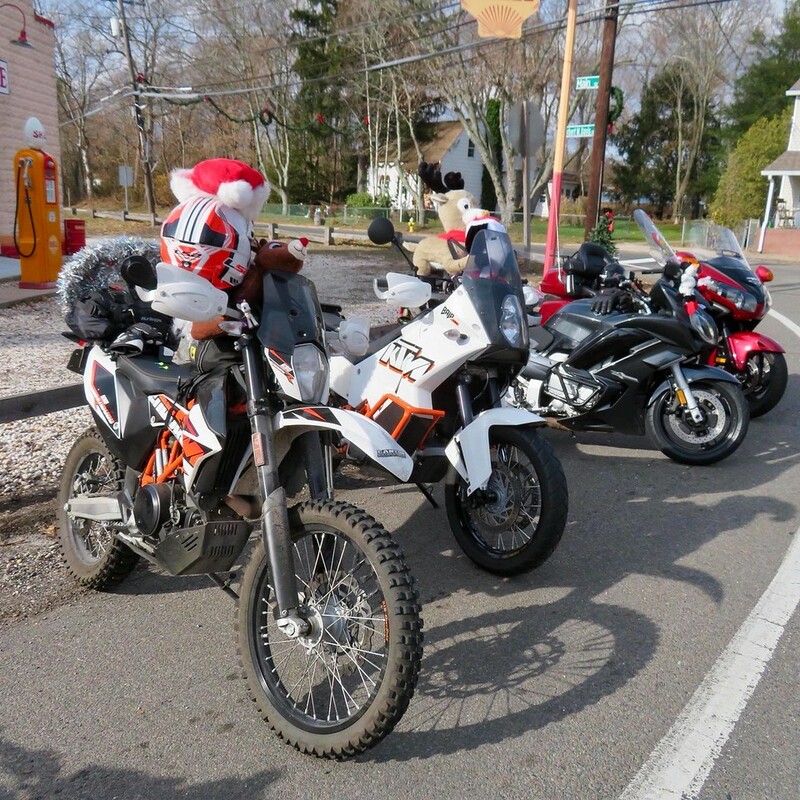 At the end of our ride we made our way into Port Jefferson for coffee. The group of us universally decided that it just might have been the most fun ride we’d had all year. The joy, the happiness, the laughter – it was all so infectious. It really did my heart good. I can’t wait to go again. 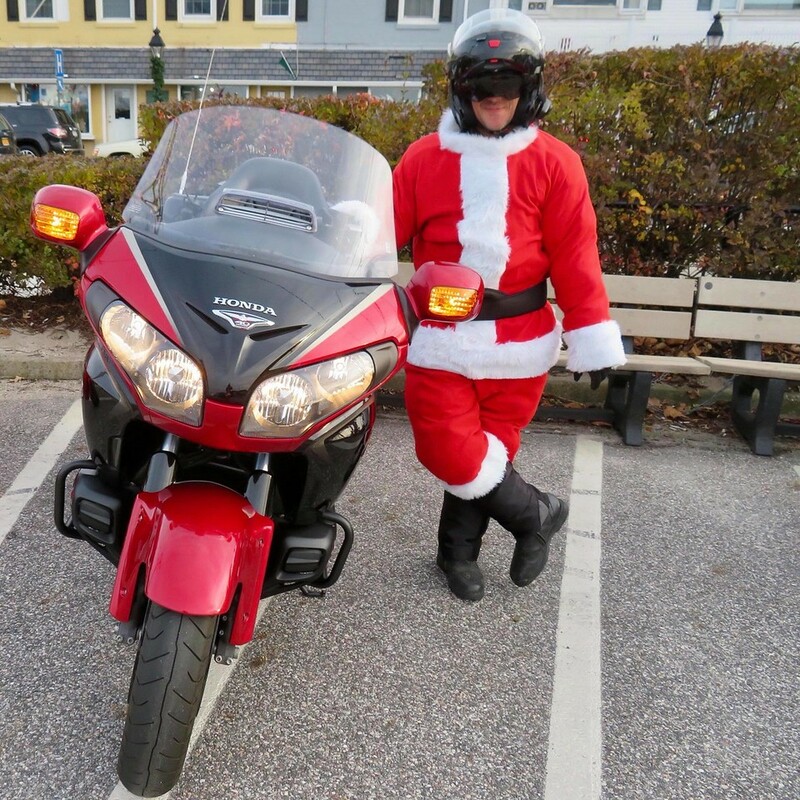 I suspect our next ride will pick up a few more Santas along the way, too. 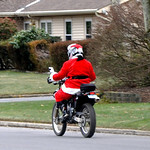 The first Santa Ride for 2011 is in the books. 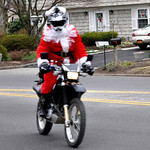 It was a gorgeous December day to hit the streets bringing good cheer. 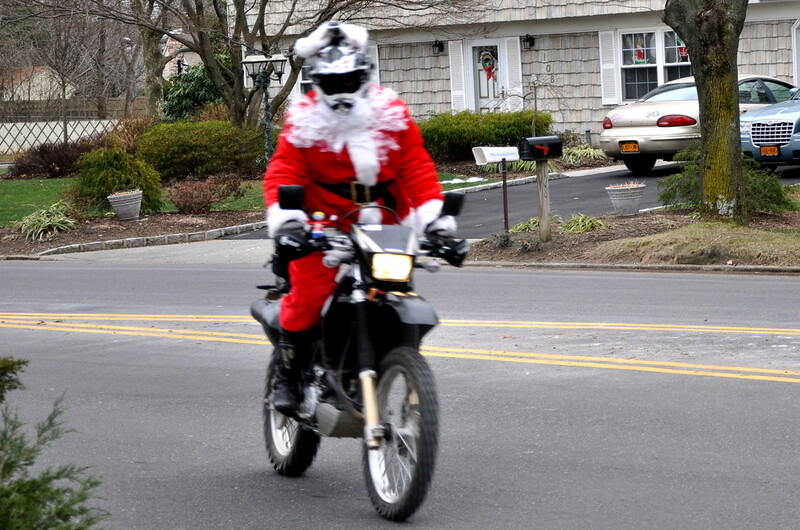 Today I took a ride around town on the DRZ dressed up as Santa Claus. It was so fun to watch the reactions from people. Seeing their happiness and the big wide smiles was priceless. Hearing the honking and cheers absolutely made my day. 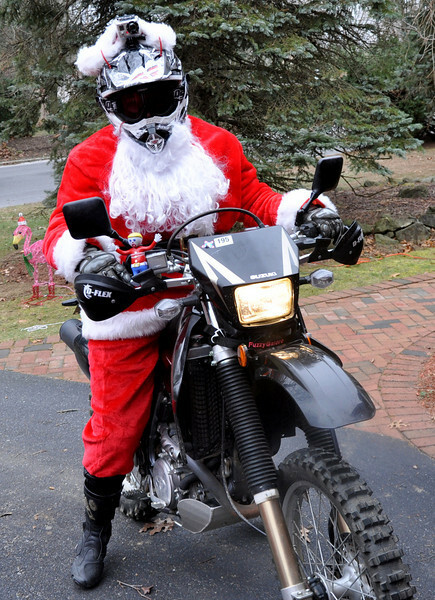 It was a little Christmas fun for everyone. 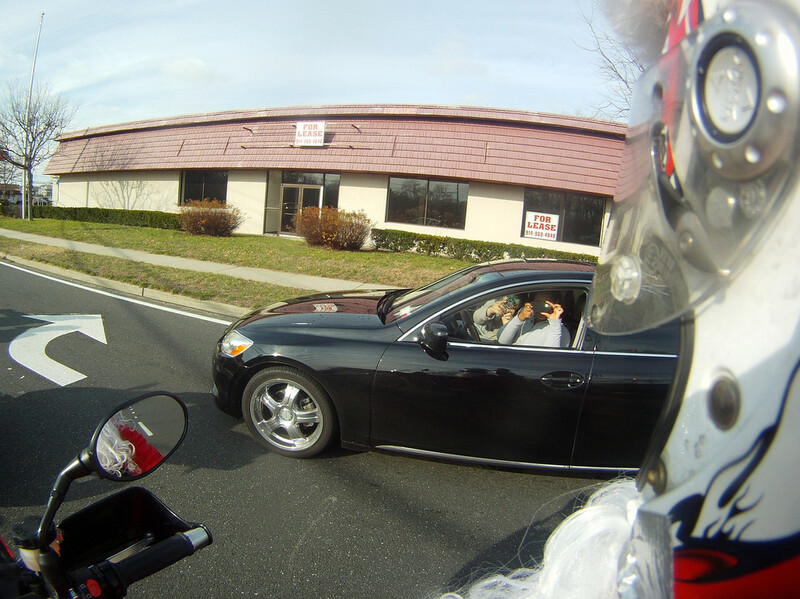 Unfortunately, my GoPro camera battery died in the first 8 minutes of my ride. 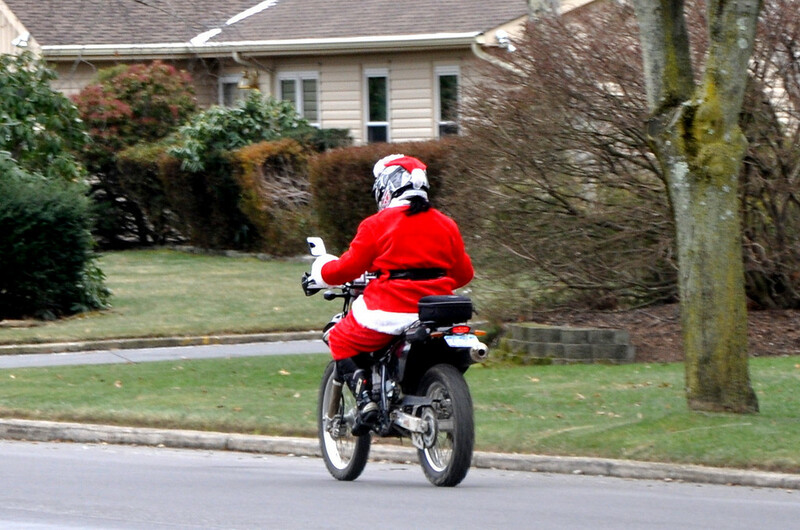 So, it looks like I’ll have to go out for another ride later this week to get some video. I’d love to rope some of my friends into donning red suits and coming along. Any takers…?